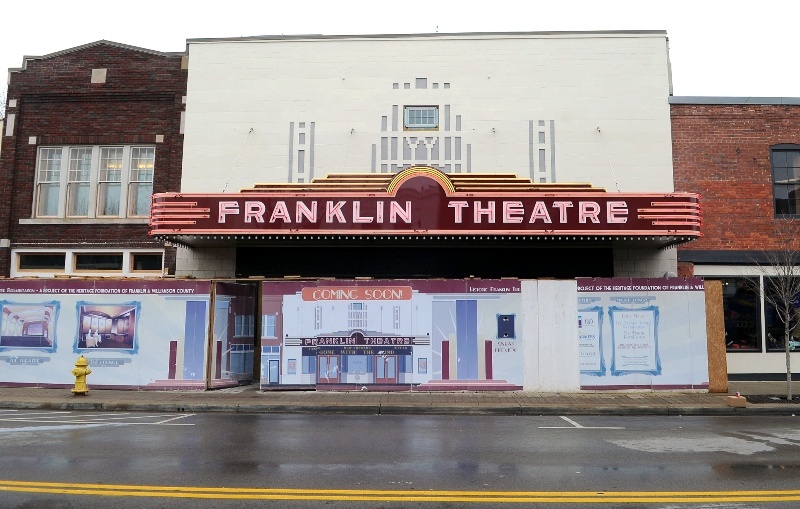 After a 4 year hiatus, the historic Franklin Theatre is now finally ready to open its doors once again. Originally built in 1937, the Franklin Theatre, closed up shop in 2007 amid questions of whether it would ever open again. Now, after a multi-million dollar renovation, the theatre officially reopens this Friday, June 3. The theatre will also be the venue of regular concert events, musical theatre and plays. The Grand Opening street party begins at 6:00 pm on Friday, June 3 in front of the theatre where there will also be an outside screening of The Wizard of Oz. The Franklin Theatre’s first film screened since its re-opening will be Gone with the Wind, playing June 3-4, followed by Charlotte’s Web, Casablanca and The King’s Speech throughout the rest of the week. Go to the theatre’s main website for more programming details regarding films, live concert and theatre events. The Franklin Theatre is one of the last remaining small-house, old school, independent theatres left in the South. We’re very lucky to have the 2 of them in the Nashville area, including cross town indie Belcourt theatre. If you’re free this weekend, then you should check out the Franklin Theatre’s grand opening street party or one of the great films showing this week.